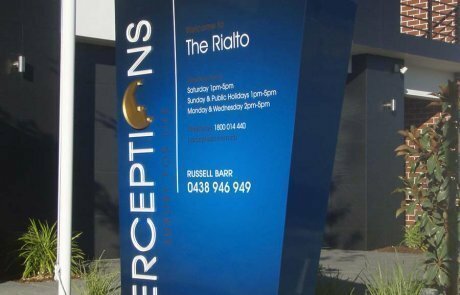 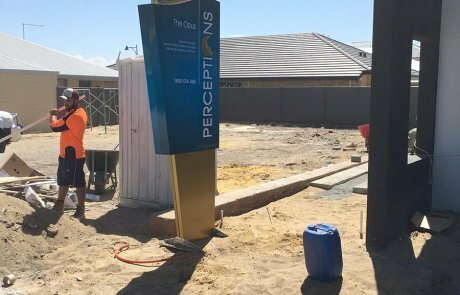 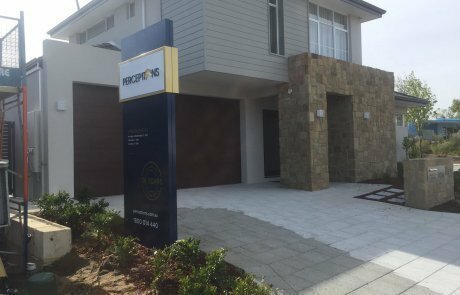 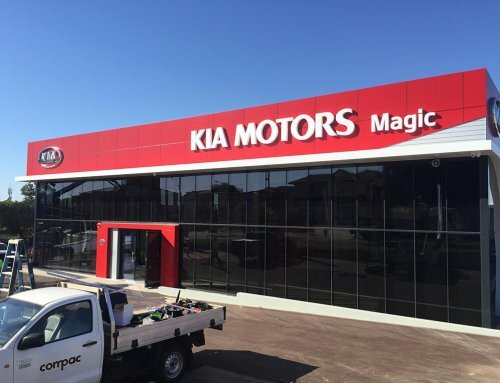 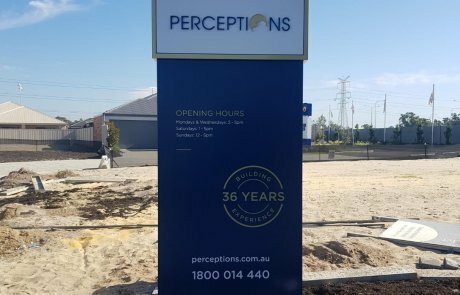 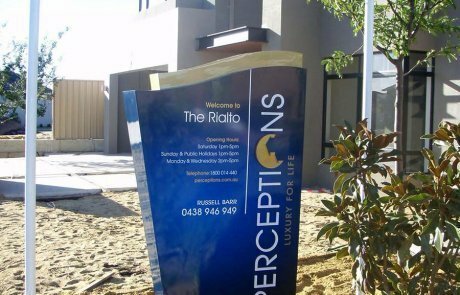 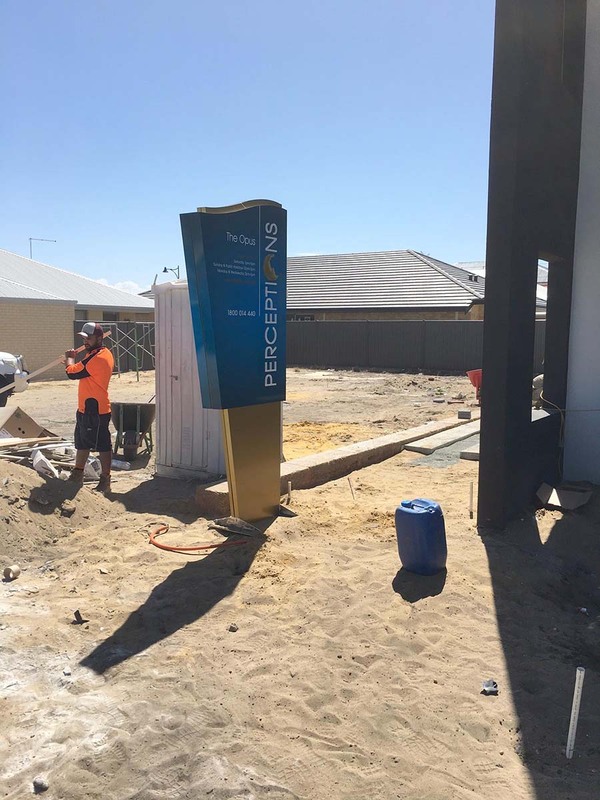 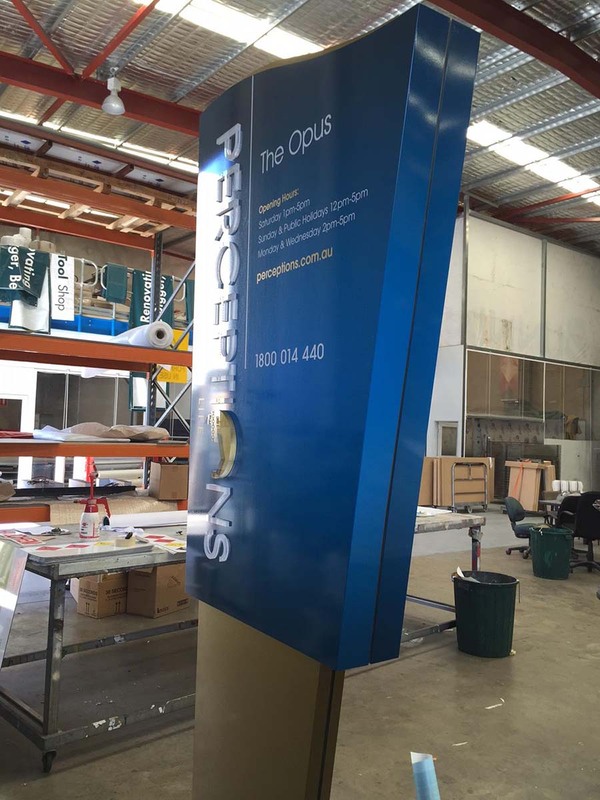 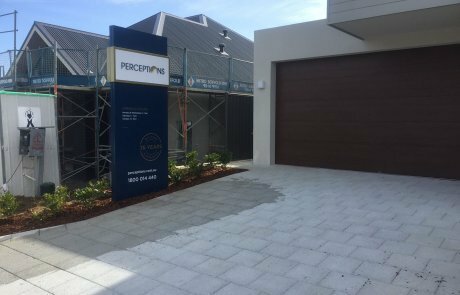 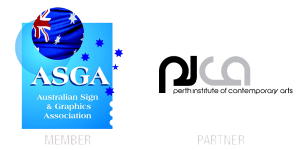 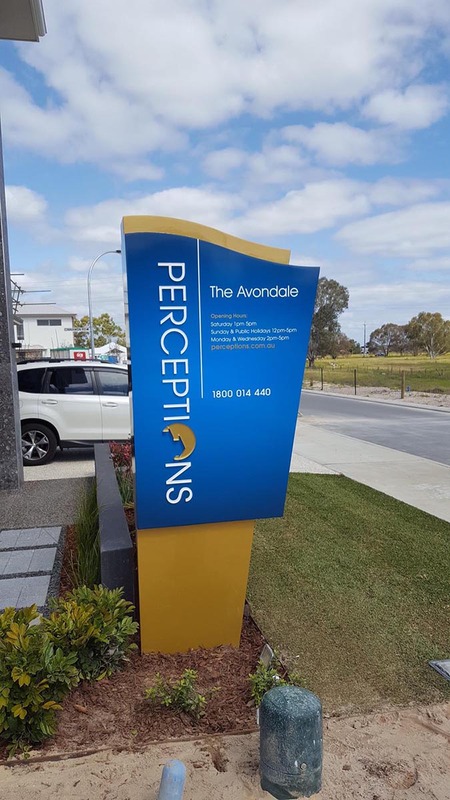 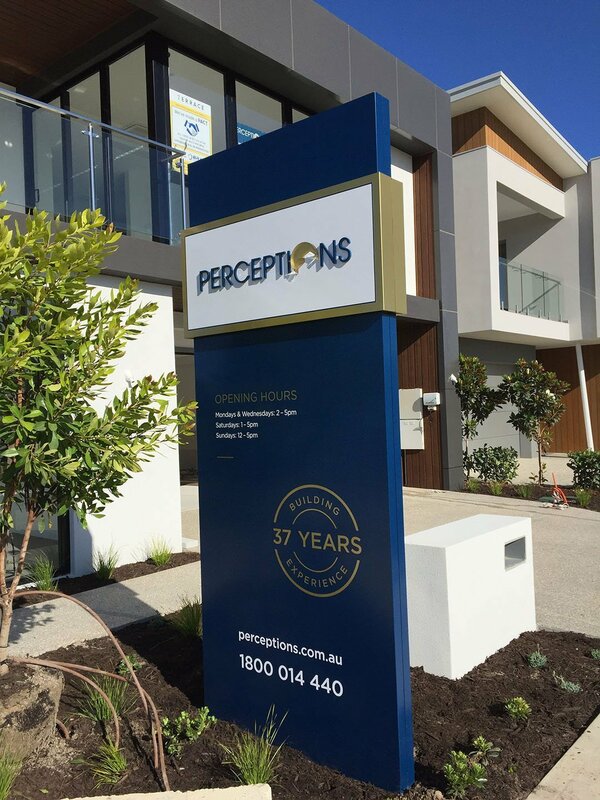 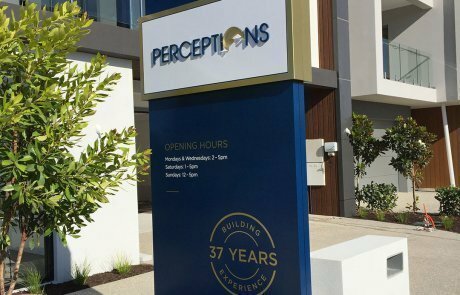 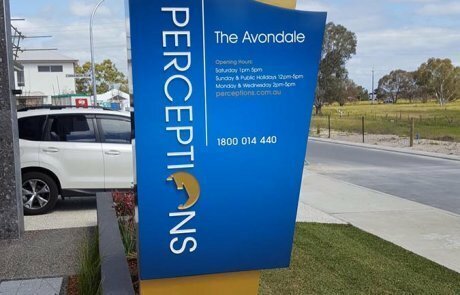 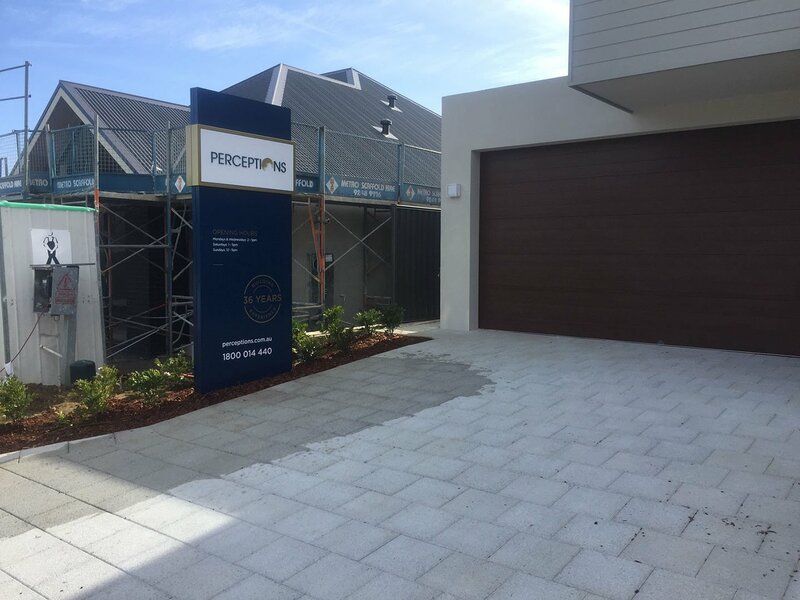 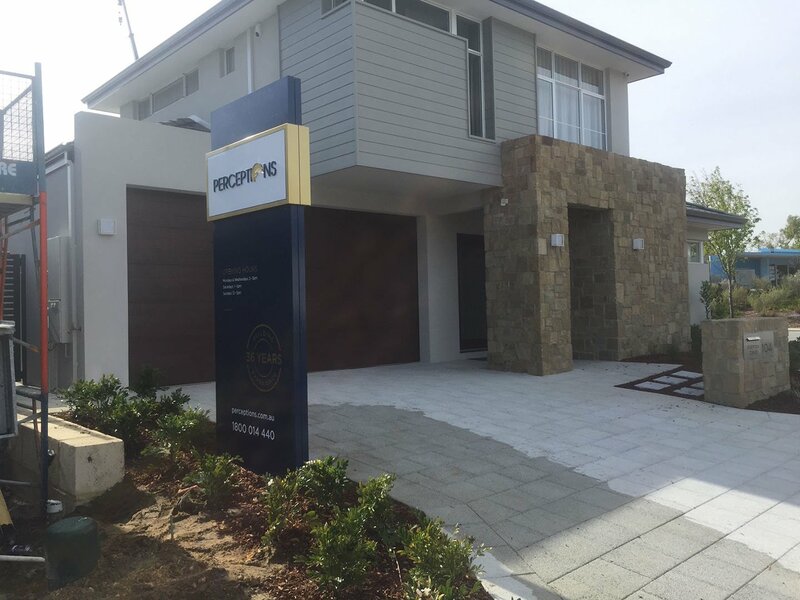 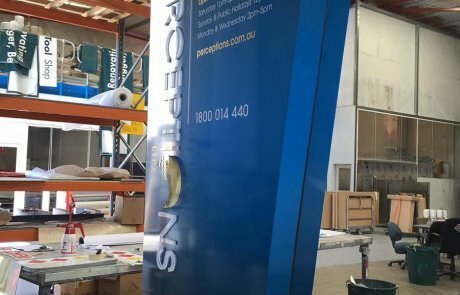 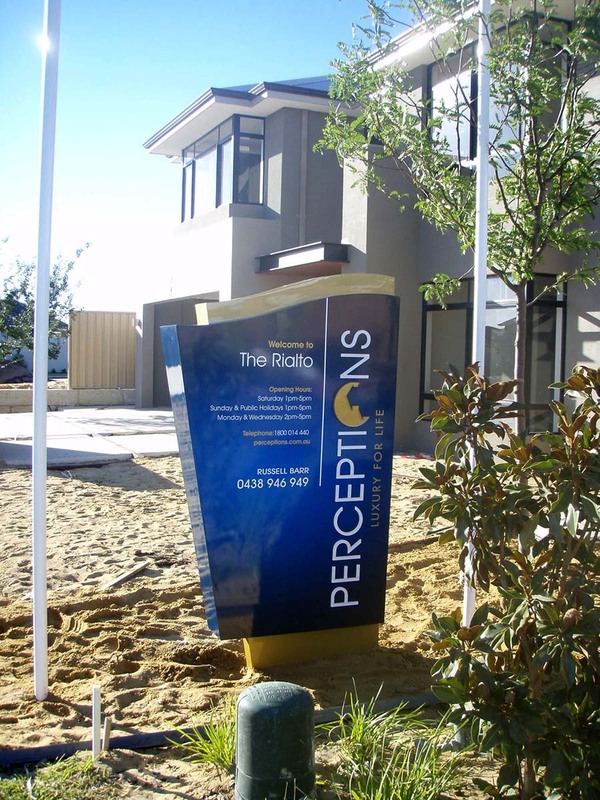 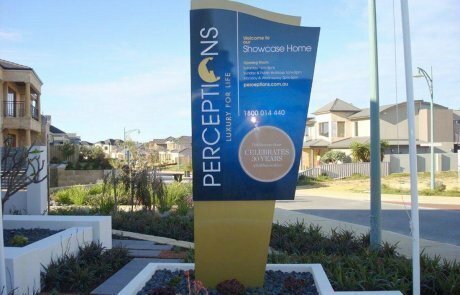 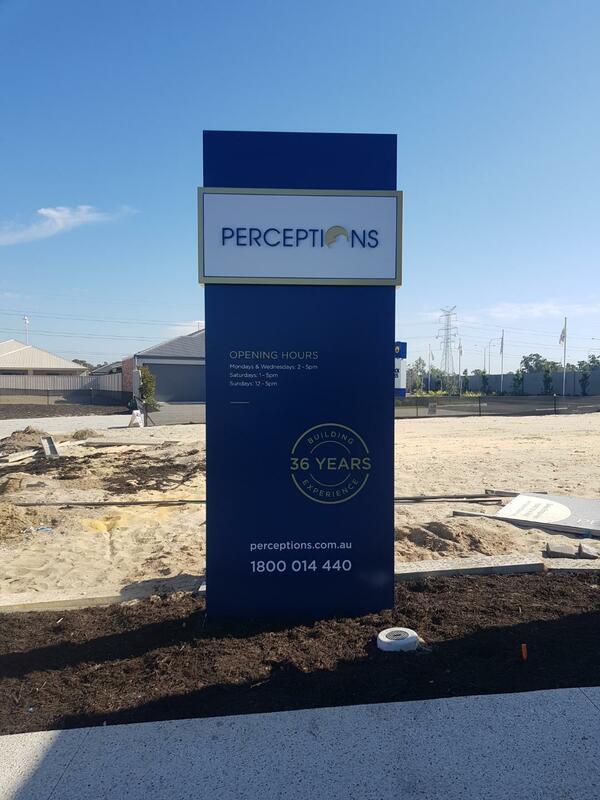 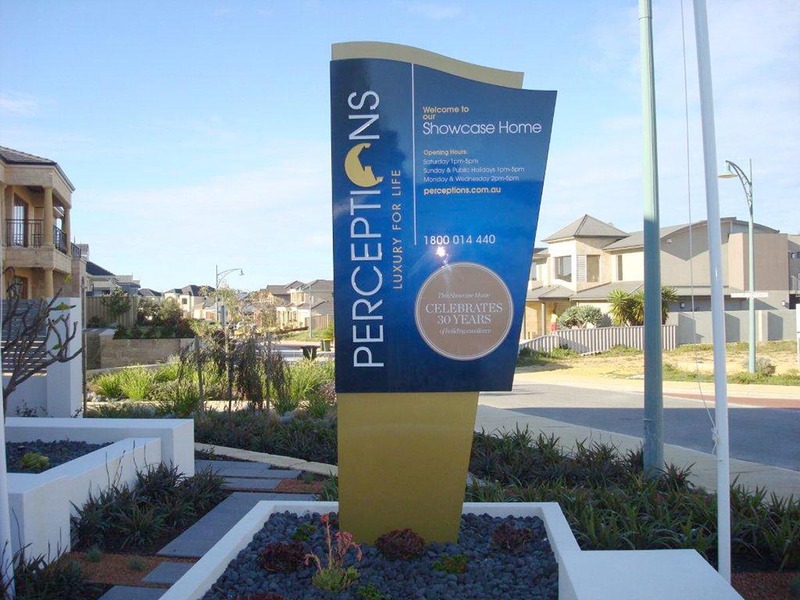 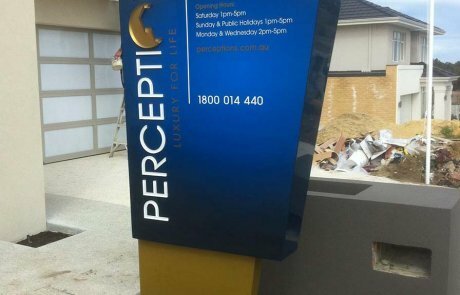 Compac has been fabricating freestanding pylon signs for Perceptions display homes and many other home builders pylon signage for many years. 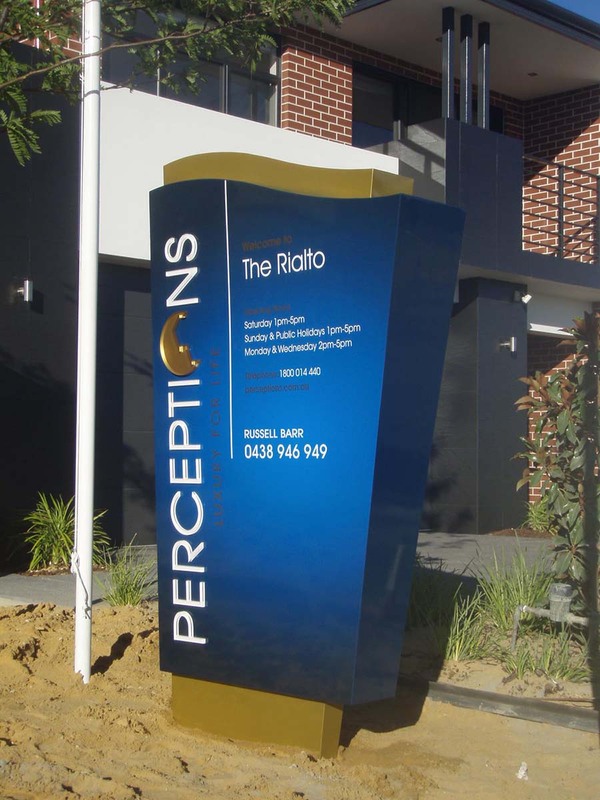 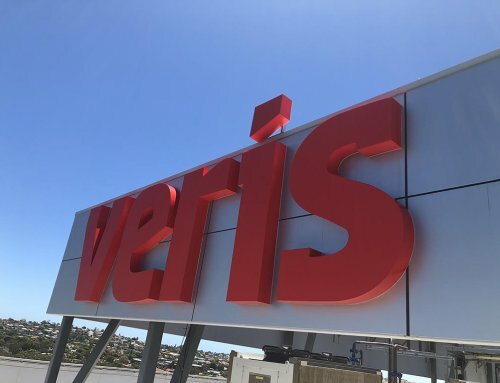 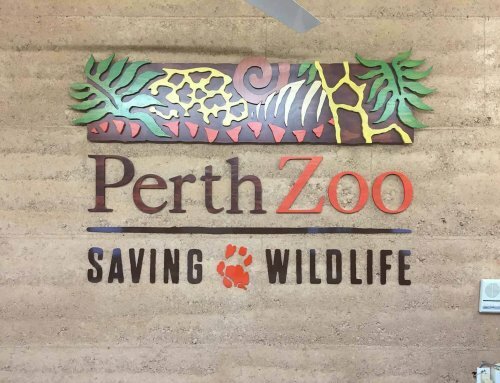 These pylons are premium quality fabricated aluminium signs that are designed and built to last long into the future. 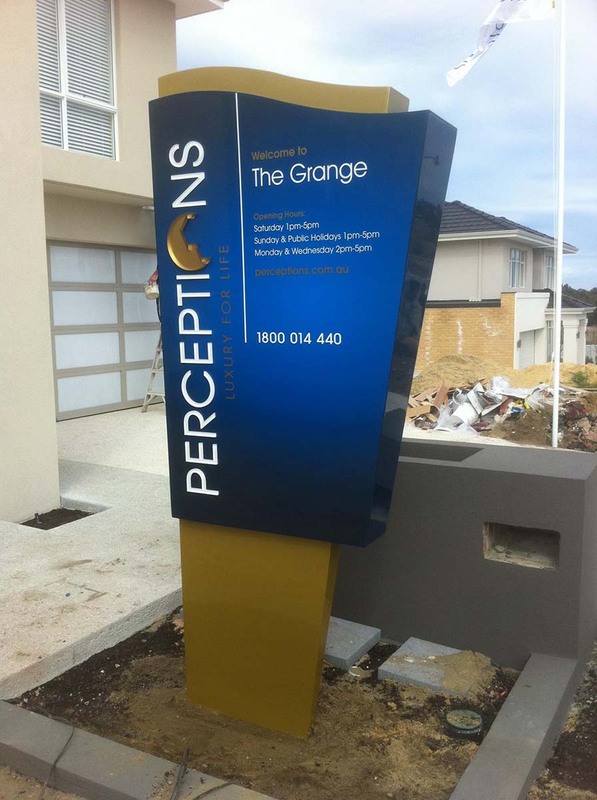 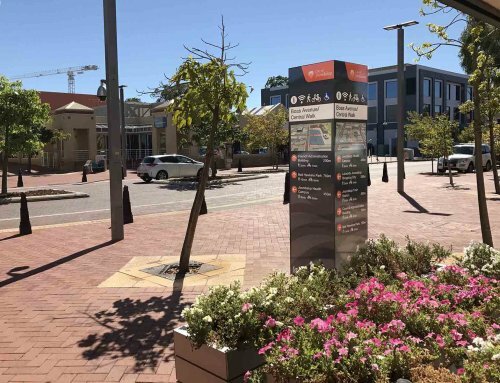 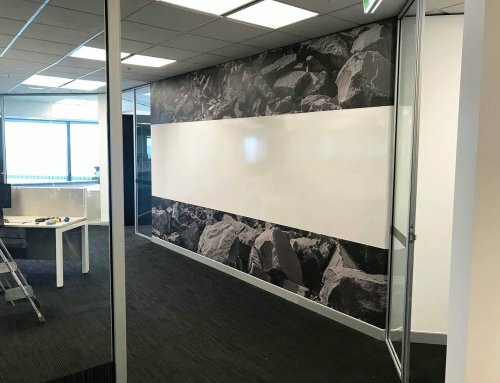 The design intent was that the signs can be reused at new locations with minimal effort and expense.